If you've never worn Toms shoes, then you are missing out. If you are thinking of purchasing some, you will absolutely love the comfort of them. 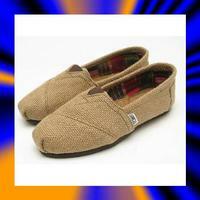 Women's Toms come in many different styles but most of their designs are flat shoes. They do feature some wedge sandals though. But with everything from ballet shoes, to deck shoes, and wrap boots, you are sure to find the perfect style for yourself. 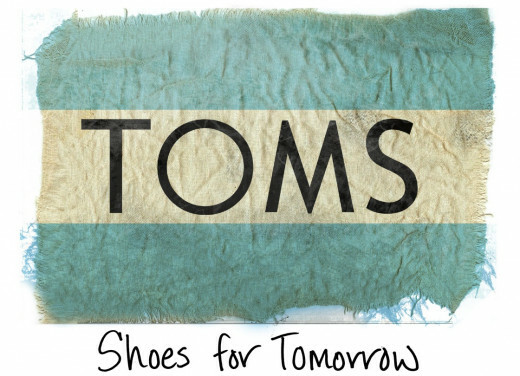 One of the best features to purchasing shoes from Toms is that when a pair sells, they give a pair to an impoverished child, so you can know that even though you are splurging on yourself, there is a child out there who is getting a new pair of shoes as well. The founder of the company, Blake Mycoskie, had visited Argentina and was moved by the kindness of the people, even though most of them were very poor. He liked the simplistic design of Argentine shoes and decided to come home and copy it for America. He was moved to help these children he met out of the country and made it his mission to give charitably. Many of the Toms shoes are made with elastic straps hidden inside so you get a good firm fit. This also means that you don't need to use the laces if you don't choose. Many of their shoes feature laces for an aesthetic look but are really unnecessary. 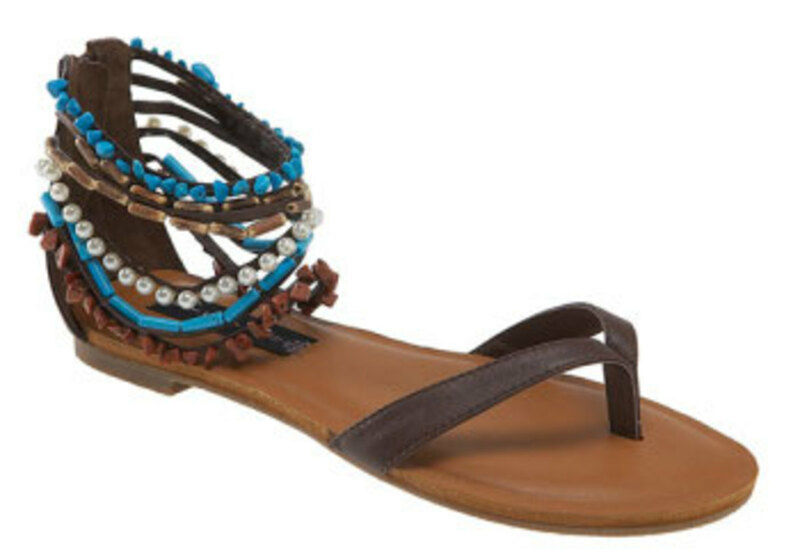 There are crochet shoes, print shoes and even shoes with Aztec designs, or beach prints for a more unique look. 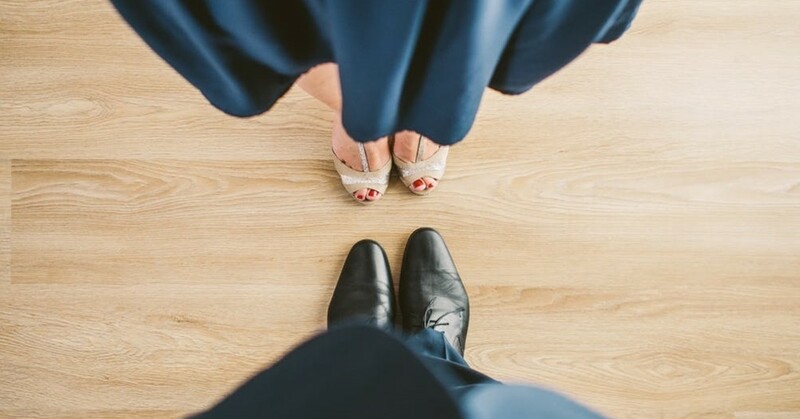 Take a look at these styles to find the right shoe for you. 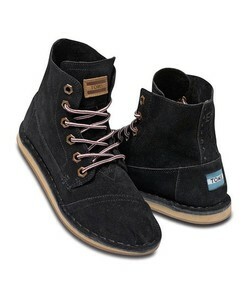 I like the Toms Womens Highlands Grey Wool Botas. These boots feature a cute fleece fold over design on the ankle that you could lace up if you wanted to. In a light grey color, they will easily match many of your outfits. It is made with a wool upper and a solid rubber outsole that will help protect against the elements. There are hidden elastic straps so using laces is purely optional; the shoes will stay firmly on your feet even without them. I like that there are latex arch inserts for more support to the foot. I live in a very cold and wet place in the winter, and these shoes not only kept my feet dry, but very warm as well. They are also pretty true to size as well. 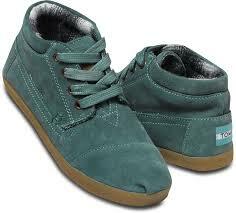 If you would rather go for just a high ankled shoe, consider the Toms Women's Moss Suede Botas. These will also add some color to your wardrobe with the bluish green shade that they call "Moss". 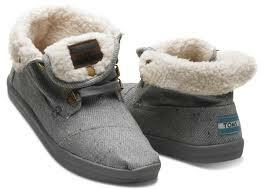 They feature a wool pad liner to keep your feet nice and toasty in cold weather. 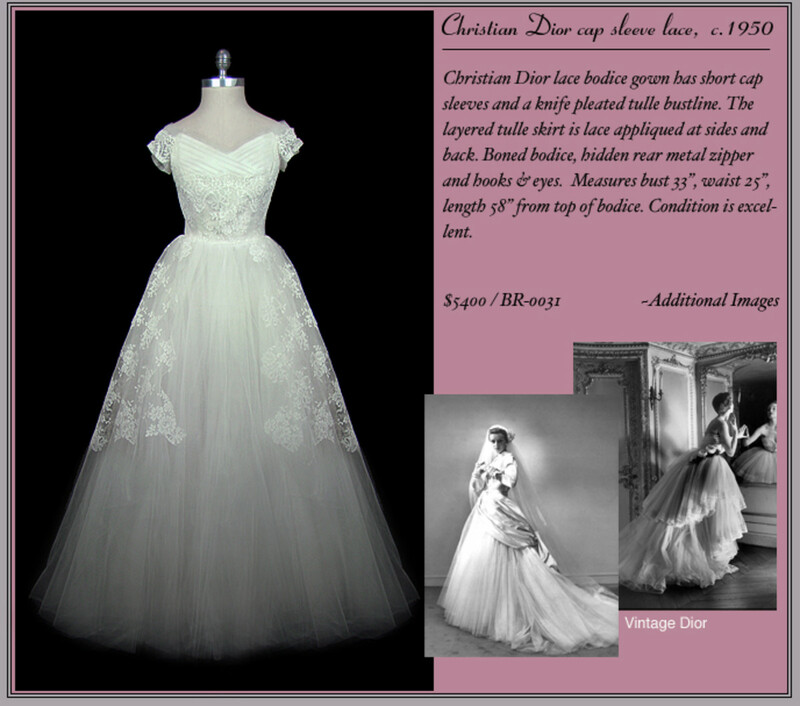 They do feature laces, but that is mostly for show since the hidden elastic straps keep your feet firmly in place. They also have a latex arch as well for more support and the outside sole is made with rubber for good traction. I did notice that these shoes were a bit tough to get on but once I wore them a few times, the elastic straps seemed to stretch enough to be a more comfortable fit. For a more unique look, try these Toms Women's Black Suede Tomboy Boot. These are military inspired boots and feature a molded insole for more comfort. Plus, this insole keeps the cold air out more effectively, therefore keeping feet warmer. You get two options for colored laces as well. The foot bed is removable as well, if you find you don't like or need it. The collar is loose so you can fold it down for a different style based on your mood. 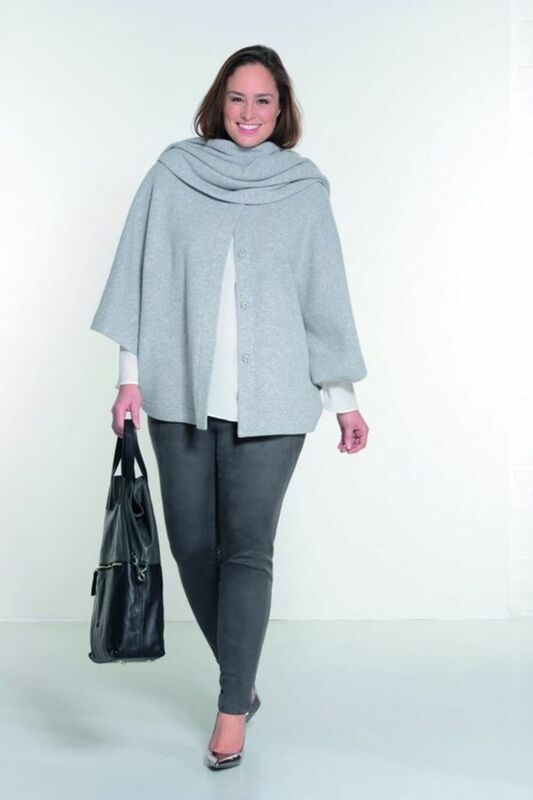 There are gussets for you to use when you want to wear them loose and keep out the weather. For a good classic style either as a house shoe, or worn out and about, consider these Toms Women's Classic Woven Slip On's. These are made with a burlap covering that looks great with almost any outfit. They have the typical Toms toe stitch and have an elastic V for getting them on and off more easily. They feature a rubber sole for traction and only have a heal of about 1/2" tall on a small platform. These are a bit rough on the inside on the top part, and the sides where the lining does not reach, so I would suggest wearing socks with them until they've had a chance to be broken in. These are very lightweight and very comfortable to wear. The insole is suede so it is very soft against your feet, and the arch insert is made with a latex sponge. These do stretch out quite a bit so I recommend buying a half size smaller than you normally would. 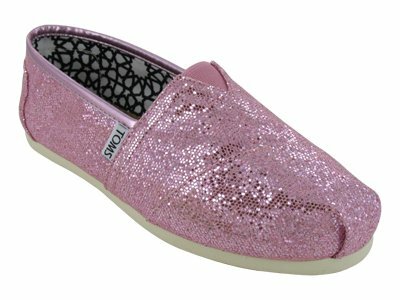 If you like a little glitz with your day, try the Toms Women's Glitter Classics Casual Shoes. These cute canvas shoes are covered with a fun sequin glitter fabric, and a fun canvas inner lining that has different white shapes against a black background. It has a one piece outsole for more flexibility and durability, while the inside houses a latex arch insert for support. I also suggest wearing socks with these as the edges can be a bit rough against bare feet. I suggest not wearing these shoes every day, all day long; the glitter can start to come off and the heels and toes tend to scuff a bit. These would be best worn for special occasions or periodically. But as long as you take care of them, they should hold up pretty well. These are my favorite style from Toms. Coming in different colors, I like best the Toms Women's Purple Crochet Seasonal Classic Shoes. This deep purple is very elegant and will look great with many other colors. These airy shoes are best worn in warm weather though they are very breathable since the crochet design leaves your foot open through the entire shoe. They also have the typical Toms toe stitch and and elastic V to make them easier to get on and off. 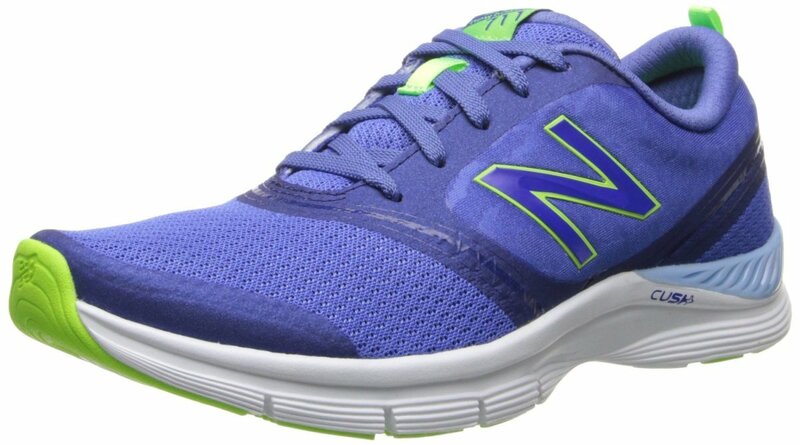 They have a suede cushioned insole that is very comfortable. As with all Toms, they feature the latex arch insert for support to the inner part of your foot. These shoes come in so many different colors as well, so buy a few! Since it's summer, consider getting a pair of these darling Toms Women's Strappy Wedges in Red. They feature a height of 3 5/8" with straps that have turned edges with interior stitching so they are gentler as they move when you walk. I love that they have a heel patch and heel strap to keep them more firmly on your feet. They have a solid rubber outsole with infused textile for more durability. The outside of the wedge is covered in burlap for a beachy, summer-y kind of look. I have noticed that these wedges are very narrow. Luckily, I have narrow feet myself but my sister can't borrow them since she often needs wide sized shoes. Keep that in mind as you shop. For a more closed type of wedge, consider the Toms Women's Classics Wedge. They feature a blurred black, red, blue, white and purple flowered design and have an open toe. So while they are still made for warmer weather wear, they are not as open as an actual sandal. Heel height is 3 1/4" inch and they have the classic suede insole with cushioning for a more comfortable wear. They also have a suede heel insert as well. The outsole is rubber for good traction. 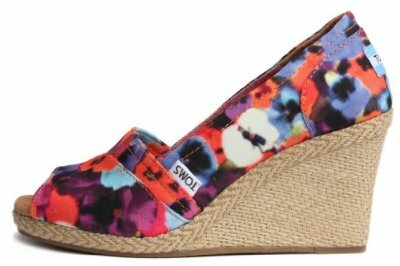 These Toms Women's Village Stripe Wedges are very cute for spring and summer with purple, pink, cream, and green colors in a striped pattern. With all the colors featured in the fabric, you can easily find many outfits to match them to. The wedge has a height of 3 1/4" and they feature an open toe. They have a natural rope heel and midsole with a soft liner on the inside to keep your feet even more comfortable. I like that they feature the One on One script to let everyone know that you've helped put shoes on a poor child. I also suggest you get about a half size smaller than you normally wear so the fit is much tighter. I bought my actual size and find that my heels slip a little. If you do find this happening to you, you can easily buy pads at a local shoe store that go on the inside of the heels to give you a tighter fit. How many pairs of Toms do you own? What do you think about Toms?